Lactose is a biologically unique sugar. In contrast to the other nutritionally important disaccharides, the α-glycosides maltose and sucrose, lactose is a β-glycoside. Lactose occurs in large amounts and as a free molecule only in milk. It is thus a biochemical and nutritional characteristic of mammals and is not present in other classes of animals. Sugars more common than lactose and more ancient in evolutionary terms would presumably suffice for the supply of energy to the young mammal. 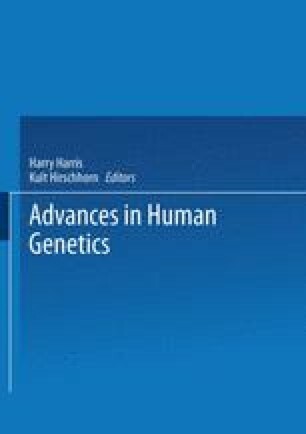 The development of the intricate mechanisms of lactase synthesis in the mammary gland and of lactose digestion in the intestinal tract would therefore run counter to evolutionary economy if lactose did not convey a special selective advantage during the suckling period. Evidence of such an advantage is not available at present. Adult mammals usually do not have access to milk in their natural environment, and their lactose digestion capacity declines after weaning. The human species is no general exception to this rule: in the majority of humans there is a gradual decline of lactase activity during early childhood. Adults with persistent lactase activity and correspondingly high lactose digestion capacity are common in only a few populations. The causes and distribution of this dimorphism of lactase activity in human adults will be the main subjects of this review.